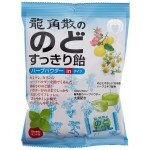 Born in over 200 years ago, it is a throat candy that was developed with the concept of soda medicine "Ryukakusan", which is still popular for many people.Chamomile, "herbal powder of Ryukoku" with Karin as its main ingredient, and 19 herbal extracts.※ "Ryukoku no throat refreshing" series is not a medicine but food. 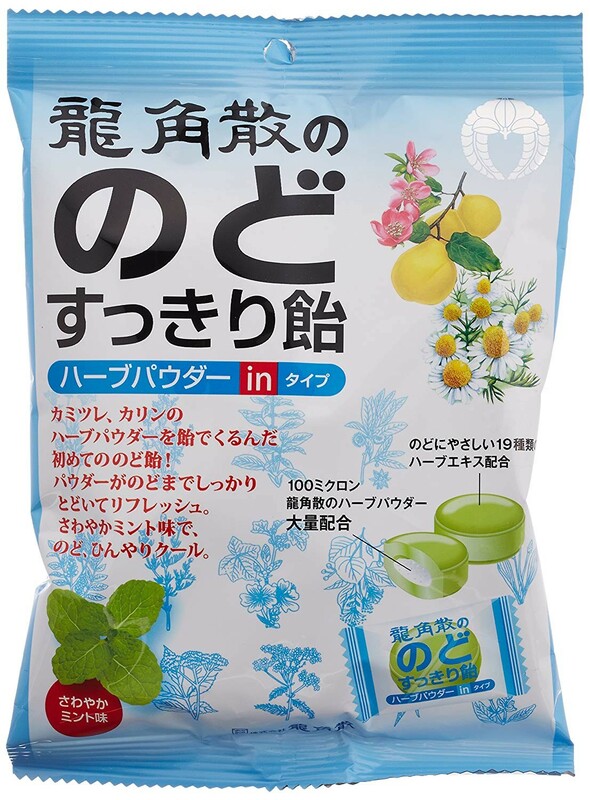 Aiming to realize a stable supply of herbs Ryu Kakuda Co., Ltd. has joined hands with Akita prefecture and is working on cultivating domestic herbs.Herbs cultivated in naturally rich Akita land are blended in dragon sprouts throat candies and tablets. I wrapped her with a herbal powder of Ryukoku. I kneaded 19 kinds of throat-friendly herbal extracts, and then wrapped herb powder with 100 μ (micron) of dragon sprinkle. Ryukoku's throat clump candy Herb powder in type is one piece, it is the first throat candy that can be refreshed twice. 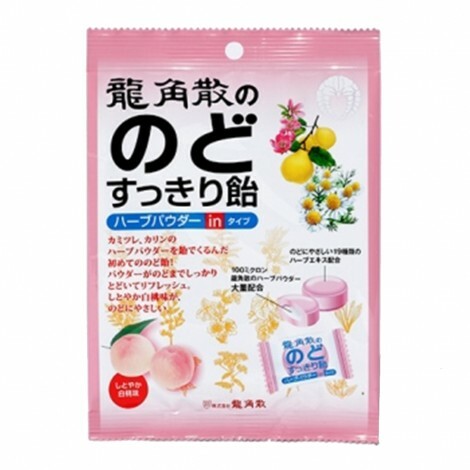 19 kinds of herbal extract formulated candy refresh slowly. Herb powder of a 100 - micron dragon - brush at the heart of candy reaches firmly to the throat and refreshes. You can enjoy a sense of refreshing when you feel too dry, feel refreshed when you feel too dry. 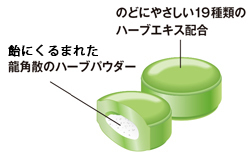 Ryukoku's throat clean candy Herb powder in type is the first throat candy that you can taste twice in one piece. Throat friendly white peach taste. We will respond to your questions about "Ryukoku's Throat Clear Candle". Please tell me the contents of the herbal extract. 19 kinds of peppermint, chamomile, linden, licorice, time, sage, star anise, eucalyptus, psyllium, elderflower, mallow blue, anise, yarrow, lemon balm, jujube, honeysuckle, wenzhou orange peel, calendula and chrysanthemum are incorporated . Please tell me the contents of herb powder. Karin and chamomile are blended as raw materials. Is not there sugarless candy? 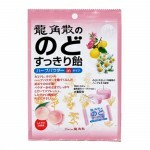 A product called "Ryukoku's throat candy candy candy & blueberry" is applicable. Is Hyosomekomi (St. John's Wort) included? "St. John's Wort" is not included in "Dragon Squirrel Throat Clear Candle". How many particles can you eat a day? Candy is a luxury goods, there is no limit to how many grains per day. Please eat according to your taste. 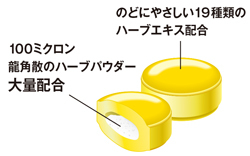 However, there are also sugar and calories, so please be careful not to eat too much. I tried to analyze the fake product "Dragon noodle". 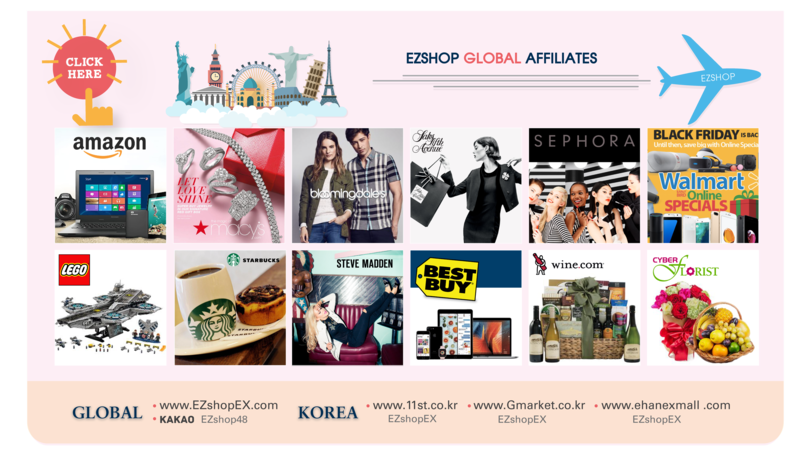 ※ The throat candy of the imitation product is manufactured in China unlike regular items manufactured in Japan, and foreign objects such as the attached photo were recognized at a high rate. It is inferred that quality control on manufacturing is not appropriate. Note) Analysis result of counterfeit product "Dragon noodle throat clear candy"